Pondicherry, the city is laden with lovely beaches, heritage buildings, backwaters and lush green surroundings. Bastille Day, Sani Peyarchi Festival, Masimagam and the Mask Festival are some of the most important events that are held in Pondicherry. The strategic location, awe-inspiring natural beauty, coupled with its French past and cultural heritage make Pondicherry tourism a major tourist destination. Welcome to Chennai! A metropolitan city with historical past centuries older than Chennai. Now with shopping malls, IT companies, fine dine restaurants, educational institutes and big business houses make striking contrast to a resolute and religious interior. On arrival meet our representative and transfer to the hotel. Later visit Valluvar Kottam which is is a temple chariot like intricately designed monument. The monument is complimented perfectly by a temple car, which is fixed to the floor but is a delightful addition to the edifice. Plus point of this temple is, you can shop here for Handlooms and Handicrafts from the exhibitions regularly exhibited in the auditorium and also spend a few hours admiring the artistic beauty of what lays inside and outside. Evening relax at the Marina Beach and enjoy the cool evening sea breeze along with a hot plate of crispy sundal and murukku. Overnight at the hotel in Chennai. After delicious breakfast, check out from the hotel and proceed to Kanchipuram, known as the 'Land of Thousand Temples'. Kanchipuram is a pilgrimage city boasting for nearly a millennium architectural legacy! Visit Kailasanatha Temple which is first of its kind made of stone architecture. It is a popular belief that during wars this temple served as a safe heaven for the rulers. The temple is currently looked after by Archaeological Survey of India. Also visit Vaikunda Perumal Temple and Ekambareswara Temple. Later proceed to Mahabalipuram which takes you to the world of sculptural monuments that lay carelessly tossed on a sun-kissed shore. Visit Pancha Rathas which are five monolithic pyramidal structures named after the Pandavas. Also visit the Krishna’s Butter Ball which is a huge boulder and it rests precariously on a narrow rock base. On arrival check in to the hotel and relax. Overnight at the hotel in Mahabalipuram. After scrumptious breakfast, check out from the hotel and proceed to Pondicherry, a forever France- commonly referred as Pondy. The town still retains a French influence in its architecture, surroundings and planning. On arrival check in the hotel and relax. Later, visit the Aurobindo Ashram, founded by a Bengali philosopher named Aurobindo in the early 20th century. In the afternoon, you will have the option to visit Auroville- A place for individual silent concentration, which should be visited in an appropriate physical and mental state or you can just relax on the beach. Overnight at the hotel in Pondicherry. After delightful breakfast, check out from the hotel and proceed to Tanjore. Rice bowl of Tamil Nadu and the cultural capital of the country in the 18th century, Tanjore is famous for its Silk which is very high in demand and also exported to all parts of India and other countries as well. On arrival check in to the hotel and relax. Later visit Brihadeeswarar Temple which is an architectural marvel from that period built with 1,30,000 tonnes of granite. One can marvel at the engineering mastermind who managed to hoist an 80 ton lotus carved rock up a 212 feet tower back in 11th century. Then visit the Thanjavur Art Gallery and Museum which is most certainly a must visit destination. It is quite a huge place which includes the Saraswati Library and the Sangeetha Sabha or Music Hall along with the Art Gallery. The museum and art gallery lie within the grand Thanjavur Palace and houses a fascinating selection of ancient sculptures and artifacts. Overnight at the hotel in Tanjore. After scrumptious breakfast, check out from the hotel and proceed to Trichy- one of the oldest inhabited places in the state. The city witnessed a transformation into an educational hub in the last few years, with many important educational institutions being set up. On arrival check in to the hotel and relax. Later visit Srirangam, a superb temple complex spread over an island in the Cauvery River. One can try Madras Restaurant (on your own) for exclusive multicuisine lunch. Non vegetarians can try Kannappa (on your own) which is a hidden jewel specializes in excellent local Chettinadu cuisine. Later explore the city by your own. Shopping freaks can try The Saratha’s - Bursting with clothing of every conceivable kind and colour, Saratha's claims to be (and might well be) the 'largest textile showroom in India'. 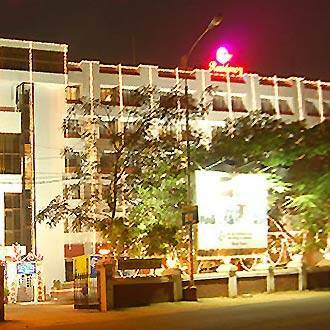 Overnight at the hotel in Trichy. After hearty breakfast, check out from the hotel and proceed to Madurai airport/ railway station to board flight/ train to your home town. Tour ends with beautiful memories! Meeting and assistance upon arrival at all airports or railway stations as the tour itinerary. Accommodation on twin sharing basis in hotels mentioned or similar for 05 nights with breakfast from day 2 as per the tour itinerary. All transfers, sightseeing and intercity drives using exclusive air conditioned vehicle as per the tour itinerary only. Please note the cancellation policy of this holiday : 100% amount received shall be charged in case of cancellation.